Many of our favorite movies come with a side of iconic food moments: the elaborate timpano from Big Night, Charlie Chaplin's dancing dinner rolls in The Gold Rush, the orgasmic deli fare from When Harry Met Sally, or the redemptive birthday cake from Sixteen Candles. In this cookbook, author Andrew Rea (of the hit YouTube channel "Binging with Babish") recreates these iconic food scenes and many more. 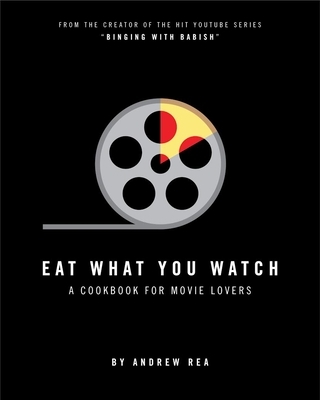 With recipes from more than 40 classic and cult films, Eat What You Watch is the perfect gift for both movie buffs and home cooks who want to add some cinematic flair to their cooking repertoire.